I like to write about parenting, general lifestyle with a mix of some health and beauty thrown in too! 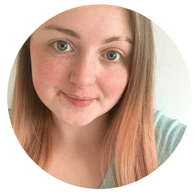 I first started blogging as a teenager, which was my release for the anxiety I had at the time. After years passing by and two children later, I started up MamaHomeLife to write informative posts about Developmental Hip Dysplasia, in order to put more information out there for other parents. I mainly get my inspiration from daily life. I am typically a housewife, but also study and run two online businesses from home – along side blogging, so I have plenty to talk about! Don’t compare yourself to others – you can write whatever and whenever you like! There’s no need for pressure or consistency in the beginning, or at all if you don’t want! Since I first started, blogging wasn’t very well known about at all. Now, blogging is so common that I rarely hear that someone doesn’t even know what a blog is! I do feel it’s more of a competitive place now though and people are all about the numbers they have on Instagram/Twitter. I use social platforms for sharing posts. Als,o I use Canva for reading a lot of my images. My biggest achievement to date is when I worked with The Creative Craft show last year, to promote them via my blog and social media – it was a dream come true! I really have no idea! I just hope that my posts help people out, as that’s what my blog is here for!